Dilley Lady Wolves Basketball Tourney results! 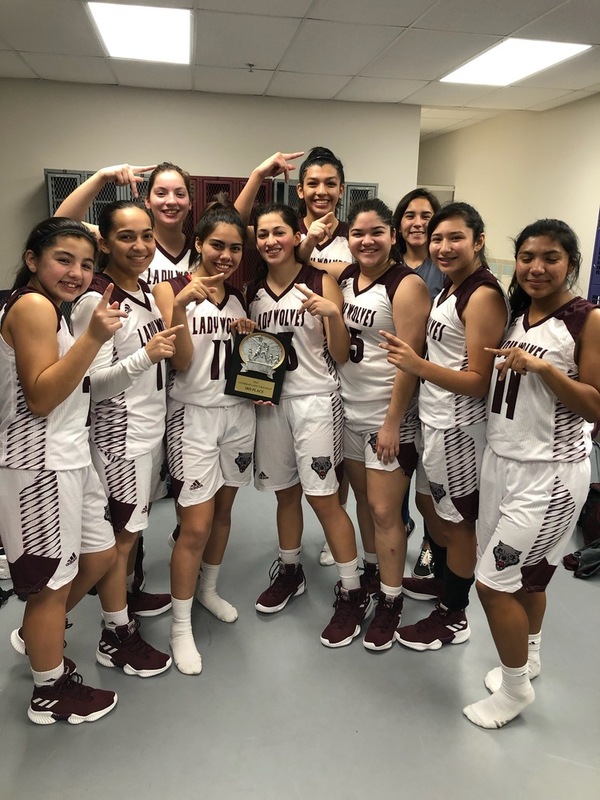 The Fearless Lady Wolves Varsity basketball team competed in the SA Lutheran tournament Thursday-Saturday. They dominated Gateway Christian from start to finish and won 61-15. Against Lutheran, the Lady Wolves lost a close one 43-36. During the last game for the Lady Wolves, they had a slower start but quickly made adjustments and beat Keystone 56-28 to earn a 3rd place finish! Mercedes Santos was chosen as an All-Tournament selection.